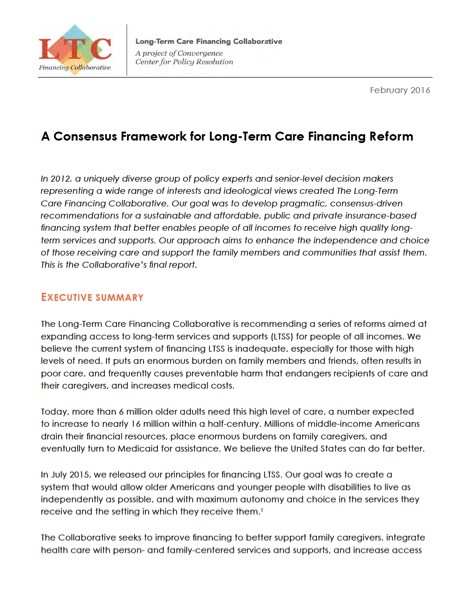 February 22, 2016 – The Long-Term Care Financing Collaborative (LTCFC), a diverse group of policy experts and stakeholders from across the political spectrum, is proposing major changes in the way long-term care is financed and delivered in the US. Download the press release here. 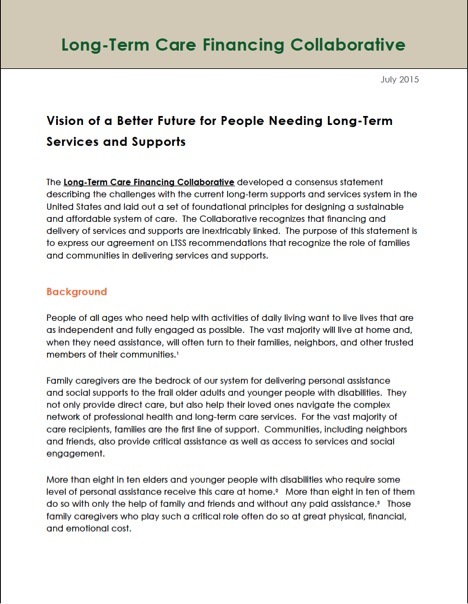 Clear private and public roles for long-term care financing. A new universal catastrophic long-term care insurance program. This would shift today’s welfare-based system to an insurance model. Redefining Medicaid LTSS to empower greater autonomy and choice in services and settings. Encouraging private long-term care insurance initiatives to lower cost and increase enrollment. Increasing retirement savings and improving public education on long-term care costs and needs. The Collaborative is a project of Convergence Center for Policy Resolution. For questions about the Collaborative or the reports published here, please contact Susan Jerison at sjerison@convergencepolicy.org. “It doesn't matter whether your politics are right, left or center, paying for long term care for our loved ones is a difficult challenge that nearly all American families are facing or will face in the coming years. This shared challenge, a desire to find real solutions, and a willingness to engage in constructive dialogue is the common ground on which our Collaborative stands." 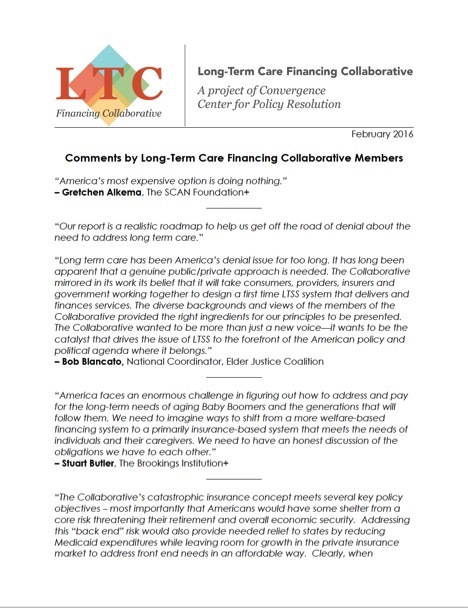 "In an era characterized by sharp partisan differences in health care, the work of the Long-Term Care Financing Collaborative stands out as a notable exception. 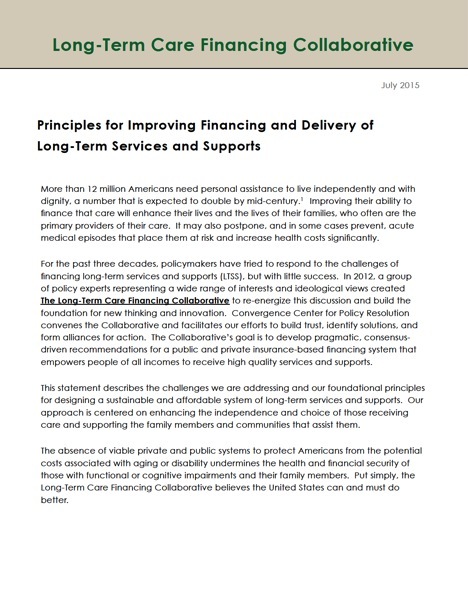 The Collaborative is taking on the next “big challenge in health care”—designing a sustainable and affordable system of long term care."